Romanian Cookery. 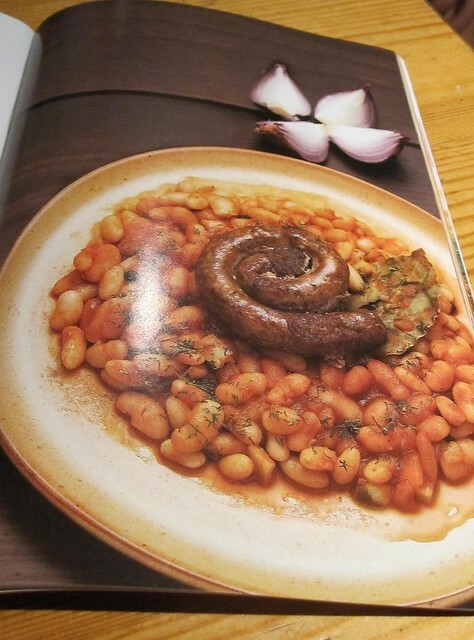 Not noted in the culinary hall of fame. 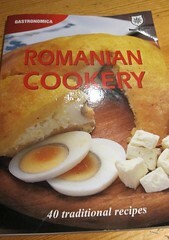 While on a recent international gigging exploit with Belleruche, Ricky bought me a Romanian Cookery book. I have to be honest – none of the recipes are particularly appealing. There’s the ‘fish egg dip’ that’s basically made of wet bread and pike roe, and ‘turkey meat jellies’ that look like luxury dog food, and have clearly been set in plastic drinking cups. This entry was posted in Cakes etc, Comedy, General bimbling. Bookmark the permalink. OMG it looks like a huge dog turd!! Although, it does look better than a few of the things that come around on the Yum Cha trolley in China town. The other stuff is good, but when they come around with the chickens feet, tripe, or deep fried baby octopus, I just try to look at something else and pretend I didn’t see it coming.